Bike Month is well underway, having kicked off on May 26 with Toronto’s 25th annual Bike to Work Day. Until June 26, Toronto and its surrounding areas will be home to countless community-initiated events that celebrate cycling. These events are a great way to explore bike culture in Toronto, connect with other cyclists and enjoy the long-awaited sun. You may notice a greater number of e-bikes, or electronic bikes, in bike lanes this year. E-bikes are an environmentally friendly urban transportation alternative, and sales of the latest designs are taking off throughout Asia, Europe and North America. In fact, according to a full lifecycle analysis done at the Massachusetts Institute of Technology in 2010, e-bikes have about the same cradle-to-grave environmental impact as traditional bicycles. That’s 13 times less than a typical sedan and about six times less than rail transit. Plus, let’s not forget about all the time you can save by avoiding traffic and public transportation delays while carving your own route through the city. 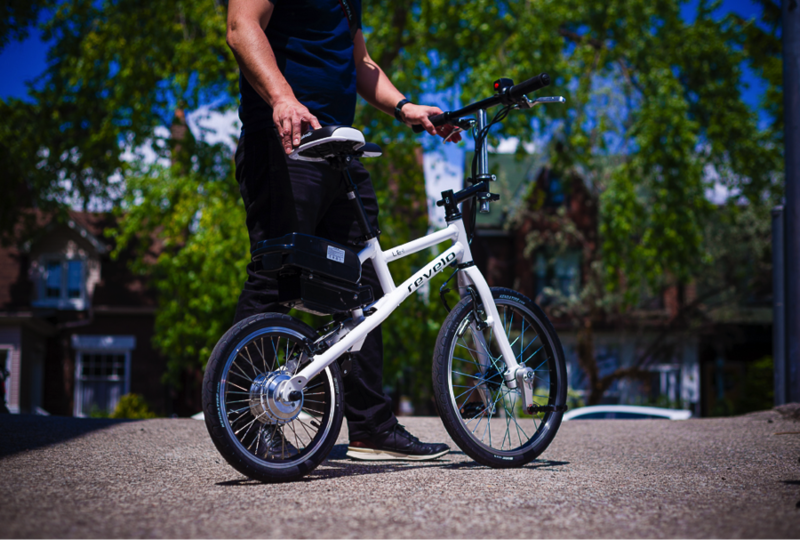 One e-bike manufacturer to pay particular attention to is Revelo, a MaRS Cleantech Venture Services client and the creator of the newLite Electric One (LE-1). Henry Chong, founder and CEO of Revelo, set out to redefine how people think about sustainable and greener modes of transportation with his concept of a creatively designed, compact and foldable e-bike. The result is definitely a gear above the competition.